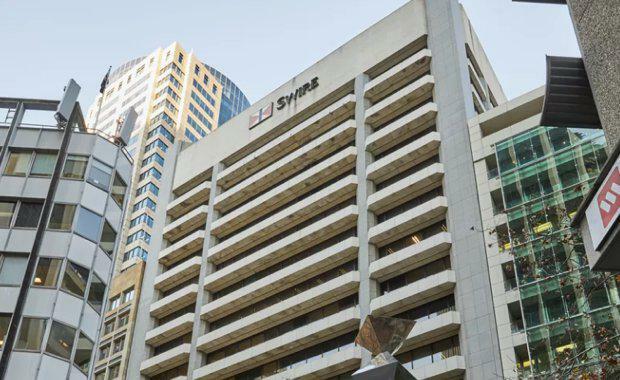 Centuria Property Funds have sold a Sydney CBD office property at 10 Spring Street to Australian Prime Property Fund Commercial (APPF Commercial) for $270.05 million. Centuria originally acquired the property in 2013 for $91.64, meaning Centuria’s investors’ equity investment tripled over the four years in addition to their income return of 8% per annum. “High quality properties in such an excellent location don’t often come onto the market, and 10 Spring Street has the advantage of appealing to a range of buyers,” Centuria chief executive of Unlisted Property Funds Jason Huljich said. “We believed it would be attractive for purchasers looking to buy and hold the property, with a strong passing net income and the upside of fixed annual rental increases of around 4%. "The weighted average lease expiry (WALE) is relatively short at around three years, offering the chance to capitalise on the strong demand for B-grade office space in the Sydney CBD when leases come up for renewal,” Huljich said. The Property Council of Australia said the Sydney CBD is currently experiencing its lowest vacancy rates in close to a decade, and net effective rents in B grade offices have increased by 60% in 2016 alone. “The site is large, at 1505 square metres, has dual street frontages, and will benefit from the new infrastructure and transport initiatives currently under construction," Huljich said. "Furthermore, any development would result in spectacular views over Sydney Harbour. “Prior to the sale, we worked with our architects on the redevelopment potential of the site and we were able to show interested buyers two broad indicative schemes. One involves redevelopment of the existing property, and a second envisages amalgamation with surrounding sites to create a significant mixed-use development. "While the building was 20 per cent vacant at the time of acquisition, Centuria was attracted to the property because of its prime location, in what is now a strategic site as identified in the City of Sydney Draft Planning Strategy 2016, providing the potential to construct a tower of up to 290 metres in height. The sale was handled by Josh Cullen and Rick Butler of INC RE and Simon Fenn, Graeme Russell and Ben Azar of Savills Capital Transactions. “10 Spring Street attracted aggressive local and offshore capital looking to secure an asset that has the potential to be part of a rare super site in the future whilst also offering the immediate opportunity to capitalise on the strength of Sydney’s B grade leasing market," Fenn said. Those who were responsible for managing the transaction said the result was a clear demonstration of the strong appetite from various sources of capital seeking to enter into the Sydney market.